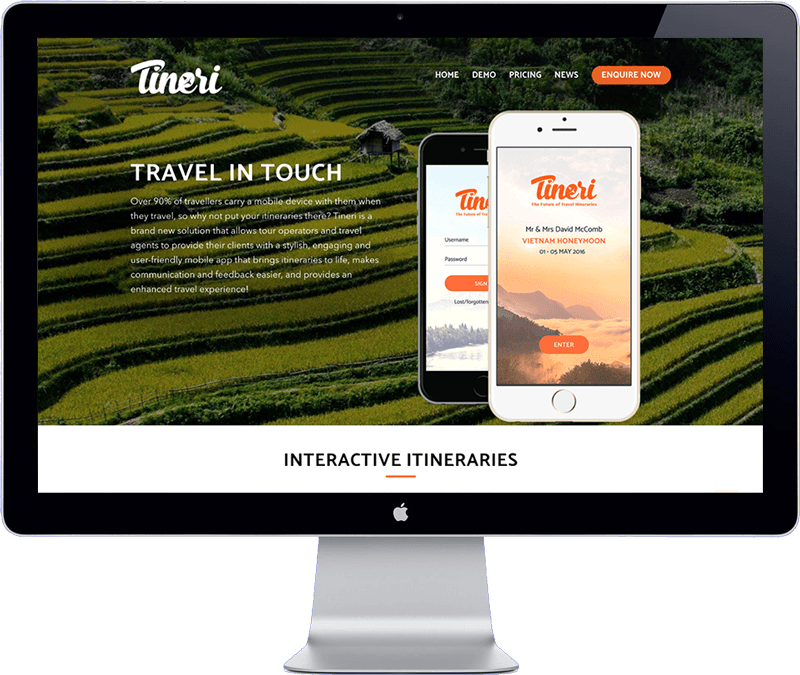 The Tineri app is a new solution that allows tour operators and travel agents to provide their clients with a stylish, engaging and user-friendly mobile app that brings itineraries to life, makes communication and feedback easier, and provides an enhanced travel experience. Tineri displays your itineraries in summary, calendar and detailed formats, with links to deeper information and tips on additional things to see and do in the destination. The website has a unique design with very powerful imagery. Since the website is developed with WordPress CMS its easy to update and edit. It has been highly optimized for search engines (SEO) and for tablet and phone formats. Need a website for your business? Contact me now! Van Dieren Services Co., Ltd. Developing eye catching websites with modern designs, that are easy to manage, optimized for phones and tablets, have great search engine results and high conversion rates.